Learn how to introduce the fun skill of snorkelling to children who are already learning to swim. This blended learning course has been created in partnership with the British Sub-Aqua Club (BSAC) and is designed to equip Swim England Level 2 swimming teachers with the additional skills required to deliver BSAC’s Dolphin Snorkeller course. The course will enable you to deliver the Dolphin Snorkeller in a pool environment to swimmers as part of their Learn to Swim scheme under stages 8, 9 and 10 of the Aquatic Skills Framework. Blended Learning – 3 hours of online learning followed by a 4.5 hour face to face practical session. 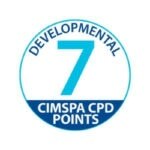 This CPD is aimed at Swim England Level 2 teachers.